Is Somebody Waiting for You? The photos accompanying this article show a few of our CHI placements who were promoted from "waiting children" to fine sons and wonderful daughters. None of these kids were babies when they came home. But now, all of them are laughing and learning and basking in the love of their adoptive families. They go to school, practice music, and play sports. A few of them even have jobs. In fact, one of our boys got married last year! We've been doing this since 1992, after all. 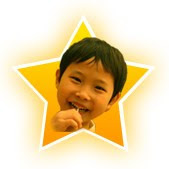 Children's Hope International is currently seeking suitable homes for 29 "older" children from China. They are all waiting in Shanghai. Most of these kids are 5 - 12 years old. Some of them have addressable medical needs. Some have already undergone corrective surgeries. A number of them have no medical problems - their only special need is that they are not babies anymore. 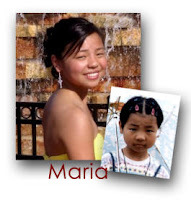 We expect other groups to follow as we find good homes for the children presently assigned to Children's Hope. Current CCAA rules require that adoptive families be married couples in good health. In most instances, the adopted child should be the youngest child at home. The CCAA tells us that they will consider parents over 55 for some of the older kids. 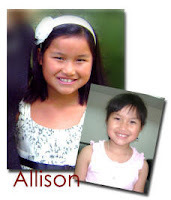 Now - click on the link to see the kids currently waiting to come home. Have your pencil and kleenex handy. Maybe one of these terrific kids will come home to you. Today, September 11, Ethiopia welcomes in the New Year and the year 2002! In Addis Ababa, Children's Hope's staff celebrated with the children at our transition home, the House of Hope. The kids had celebratory food and blew up yellow balloons. There was much joy and a lot of hugs and jumping up and down! Some interesting background: The Ethiopian calendar is 8 years behind the Gregorian calendar from January to September and 7 years behind between September 11 and January 8, as the country still retains the Julian calendar. Enkutatash, Ethiopia's name for the New Year, means the “gift of jewels”. When the famous Queen of Sheba returned from her lavish trip to visit King Solomon in Jerusalem, her chiefs welcomed her return by filling her treasury with jewels. The spring festival has been celebrated since this early time and, as the rains come to their abrupt end, dancing and singing can be heard in every village along the green countryside. Enkutatash is not exclusively a religious holiday. Today’s Enkutatash is also the season for exchanging formal New Year greetings and cards among the urban sophisticated - in lieu of traditional bouquets of flowers. It is a time to express hopes and dreams for the future. Meskerem (September) is seen as a month of transition from the old year to the new. 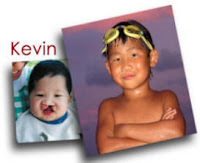 If you have been researching adoption, you may be familiar with Waiting Children Programs, working to place children that are older or have special medical needs with forever families. Perhaps you have seen pictures, medical reports, or even have read growth reports that detail a child's care, favorite gestures and eating habits. But until you see a video of the child, you may have never truly seen the child. Through video you see how small their needs really are and instead how big their hearts are. They are precious children. Their futures are bright, but they need a family to help them shine. In a new dedicated list, we are introducing "Future Stars". See a preview below, then click here - http://adopt.childrenshope.net/programs/waiting/preview.php - and enter your name and email to see these wonderful children.